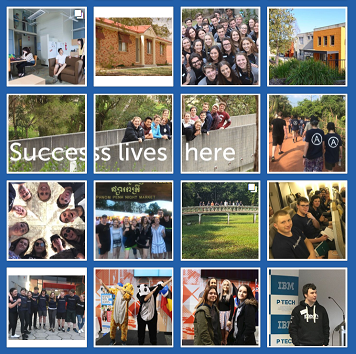 Thinking of coming to FedUni? Follow Federation University Australia for information on when and how to enrol, and speak with our Student HQ team if you have any queries or concerns. On this page you'll also find the latest news, our successes, celebrations and events. Events are often open to the public, so find out what's on and join us for seminars, conferences, orations and a wealth of other opportunities. Already a higher ed student at FedUni? Hashtag #FedUni to share your study experience. Follow @FedUniAustralia on Twitter and follow conversations with researchers and academics, our global engagement team, students on campus and more. Federation University Australia was formed following collaboration between the University of Ballarat and Monash University's Gippsland Campus in 2014. The use of social media by University staff and students is encouraged for the purposes of learning, engaging, connecting and collaborating. Policy and Procedures for the use of social media have been created to assist staff and students to utilise social media in a responsible manner. 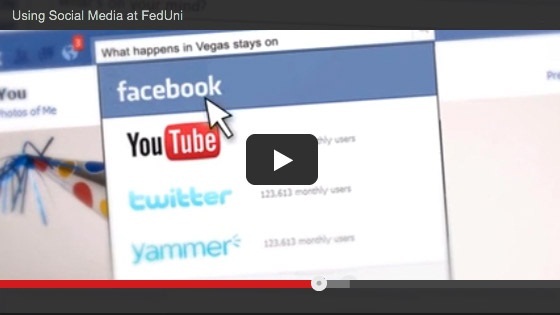 You can watch the Using Social Media at FedUni video below (4:00 mins). 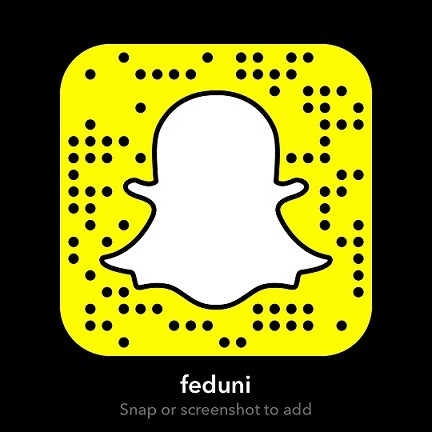 At FedUni we encourage the use of social media for the purposes of learning, engaging, connecting and collaborating. To ensure best-practice and legal compliance, staff are required to read the Social Media Policy and Social Media Procedure. The Social Media Manual should be read in conjunction with the Policy and Procedure as it offers: training; platform guidelines; and detailed information on how to moderate content. Click here for an images cheat-sheet if you're unsure of what size and shape your images need to be. You must ensure you have permission to take and publish photographs and/or video. Digital Image Release forms can be downloaded here (release booklets are available from the Print Centre - to order submit a 'Speciality job' request). If you are running a competition on social media you must have Terms and Conditions which your audience can readily access. The link below will assist you in drafting Terms and Conditions, but these must be submitted to and approved by FedUni Legal prior to commencing the competition. Staff are required to familiarise themselves with Social Media Policy and Procedure. The Social Media Manual provides you with additional support information and is updated regularly. Staff who manage a FedUni social media account are required to submit the following report in the first week of each month (reporting on the week prior). Failure to complete and submit this form as required may result in account closure. Please ensure you have completed Training Module 1 in the Social Media Manual prior to commencing Strategy Development. As outlined in the Social Media Policy, approval to establish a social media account must be granted by the Social Media Committee. To start this process please submit the New Account Application form. Researchers should follow the guidelines outlined under each section of this web page. Training specific to research publication is detailed in the Social Media Manual. Inquiries regarding publication of research should be directed to Research Services in the first instance. Got a great story for us?